We love using Slack for internal communication at Small Improvements. That’s why we enabled a two-way Slack integration to bring feedback into your daily conversations. 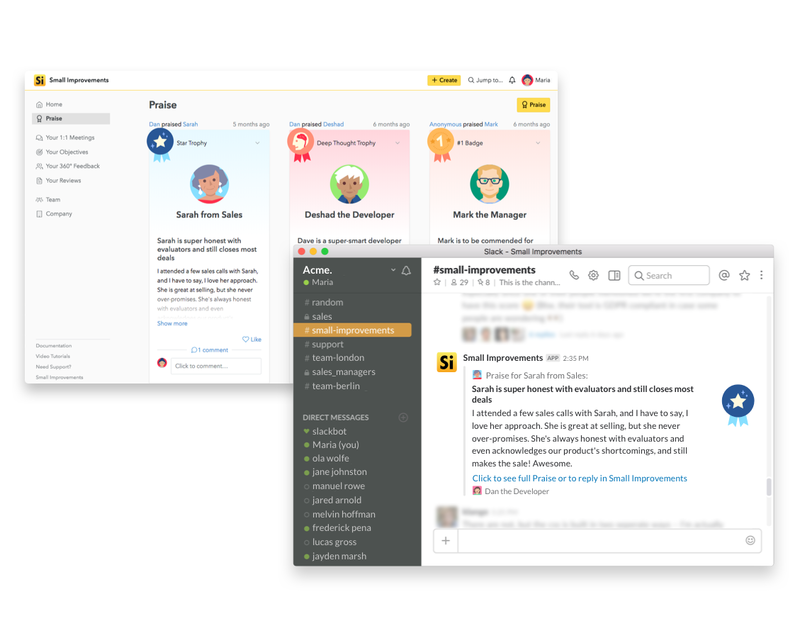 Employees can send Praise, Objectives, and Private Notes through Slack, making it even easier to share kudos, stay up to date on peer goals, and give feedback. Celebrate your employees’ accomplishments where they can see it. Our Slack integration posts public Praises within a designated channel, so every kudos is shared with the whole team. Users can also send Praise without leaving Slack, which makes it even easier to recognize peers for a job well done. Public Objectives can also be shared within a designated channel. This allows employees to stay up to date on their peers’ goals and provide feedback. Managers are notified when direct reports update their Objectives, which helps them better keep track of progress. 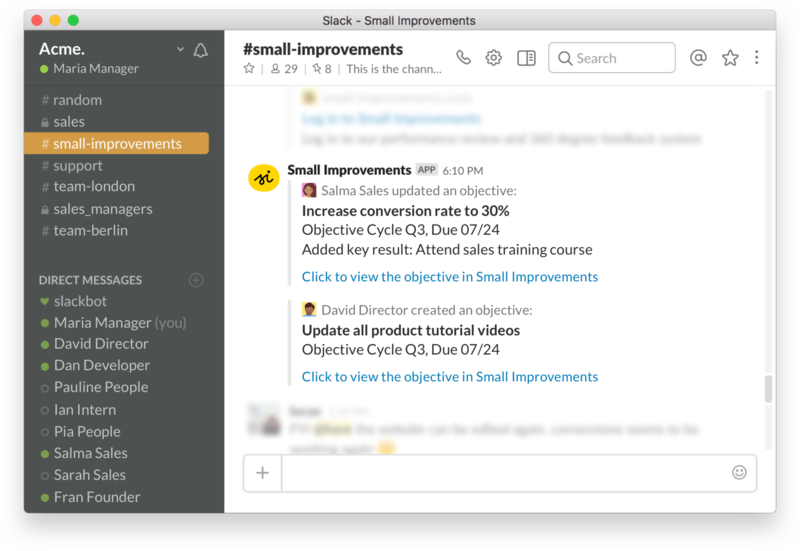 Slack users will also receive direct notifications when they’re mentioned in Objectives and Praise. Maybe a conversation brings to mind some feedback for a co-worker or reminds you of a topic to bring up in your next 1:1 meeting. Simply create a Private Note from Slack and send it directly to Small Improvements to revisit later.